DURING Rajiv Gandhi’s regime in 1980s, Delhi police commissioner Ved Marwah had a “security breach” as his car had reportedly intruded in the route of the visiting Russian Prime Minister. Then home minister Buta Singh almost made up his mind to suspend the senior cop, but it was one influential IAS who persuaded Singh not to punish Marwah. He was CG Somaiah who began his career as an assistant collector in Orissa only to rise up the ladder to become Comptroller and Auditor General of India. CG Somaiah is no more. Somaiah died in Bangalore on Monday following brief illness. Somaiah, 79, is survived by wife Indira, and one son and a daughter. 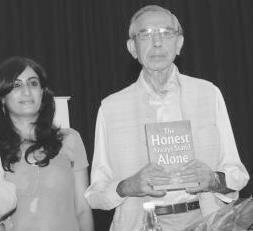 Incidentally, his daughter Pria (In picture with her father) is married to Nikhil Alva, son of Congress leader and Uttarakhand Governor Margaret Alva. As the home secretary of the country during Buta Singh’s regime, Somaiah played a key role not only in fighting Punjab terror, but was instrumental in clinching a deal with student leaders from Assam who were agitating against illegal Bangladeshi migrants. He also served as Central Vigilance Commissioner and had a six-year-long tenure as Comptroller and Auditor General of India. 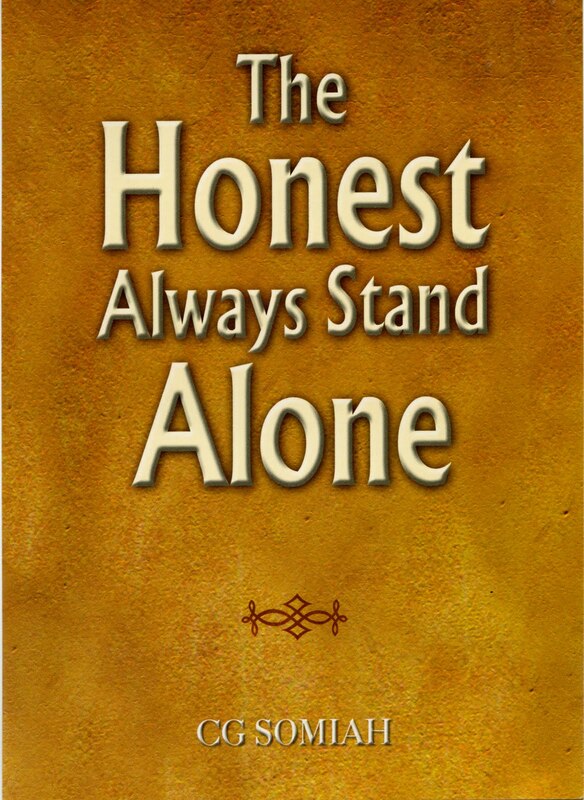 Only two months ago, Somaiah’s book titled, “The Honest Always Stand Alone”, was released in New Delhi by former president APJ Abdul Kalam. The Central Vigilance Commission advised imposition of major penalty against 96 officers including 15 from MCD, six from ministry of defence, five from ministry of railways, four from government of NCT of Delhi, three each from Central Public Works Department, Department of Education, New Delhi Municipal Corporation and Oriental Bank of Commerce, from Central Board of Excise and Customs etc. The Commission disposed of 1387 cases during July 2010 referred to it for advice. Of these, 1109 complaints were sent for necessary action/ATR whereas 96 complaints were sent for investigation and report. No action was required on 212 complaints.